A growing historical resource of almost 200 books, features, and documents. Feel free to use the comment box beneath any item to add information - you may need to disable any ad blocker software to reveal. Suggestions and content ideas are always welcome. Hertfordshire’s River Colne flows through the west of North Mymms. During certain conditions, when the swallow holes at Water End are saturated and a lake is formed, the overflow channel feeds the normally dry riverbed of the Colne. 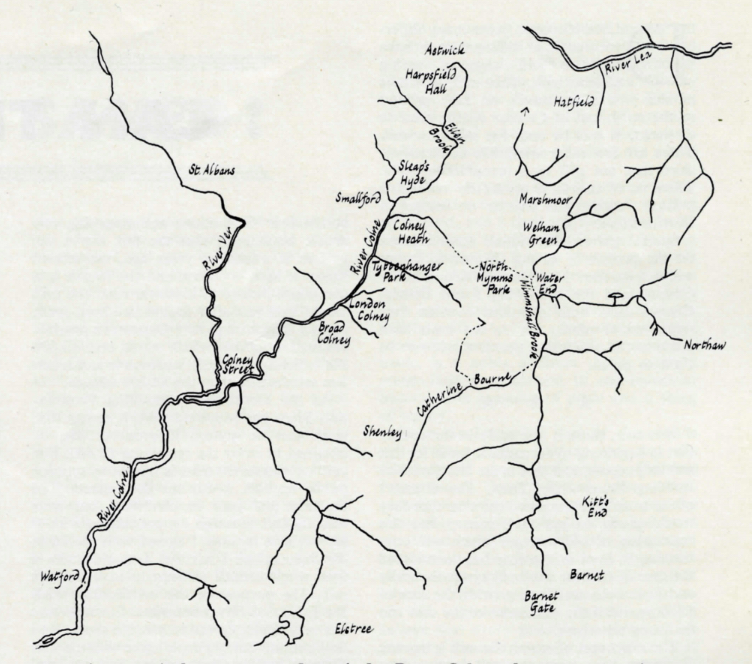 Malcolm Tomkins, a prolific local historian who died in 1981, wrote the following article about the river for the June 1966 edition of the Hertordshire Countryside magazine. The meaning of Colne—a common river name—is not known, but it is believed to be pre-Celtic and older than the name of its main tributary, the Ver. Its source may vary by as much as fifteen miles; there has been much diversity of opinion as to where it rises. Normally North Mymms Park has perhaps the best claim, but a period of drought or a single thunderstorm may make it anybody’s guess where its source is to be found. It is true that it has been known for the Colne, at the end of a rainless season, to be dry above Tyttenhanger and even farther down its course. In the summer of 1893, for instance, the Hertfordshire Natural History Society recorded that it could be stepped across just below Tyttenhanger House and that earlier it had practically ceased to flow. But this was unusual; normally the Colne is full a good two miles farther back where it emerges from North Mymms Park; and though its bed where it enters the park is normally dry it is thought that there was a time when this too was usually, if not always, full. That this must have been so in 1600 has been argued from the improbability of the great house at North Mymms, which was built then, being made to overlook a dry river-bed, as nowadays it does for most of the year. The cause of this is to be found a short distance away at Water End, where the waters of two streams, which have grown smaller and smaller as they approached this spot, do indeed seem to end. Once, it has been suggested, they regularly ran on through what is now North Mymms Park into the Colne; but having hereabouts worn away the surface clay and struck the underlying chalk, they found their way down a number of narrow fissures and these, as more and more water trickled through and gradually dissolved the chalk, widened until they formed the well-known swallow-holes. It has been discovered by the use of colouring matter that some, if not all, of the water that disappears down them emerges up to ten miles away in several springs that run into the Lea. That river has thus captured the water from the streams that run down to Water End, the larger of which is the Mimmshall Brook, which once fed the Colne. Perhaps it would be truer to say that it has recaptured the water, for long before the Mimmshall Brook ran into the Colne it is thought to have run on northwards through Marshmoor to join the Lea near Hatfield. It was in the Ice Age, when that valley was blocked by a tongue of boulder clay advancing from the north, that the waters were diverted along the ice-margin and cut a channel through to the Colne. And although today they normally find their way back into the Lea by the underground channels beneath the swallow-holes this is not always so; when, after heavy rains, these reach saturation point they overflow and a lake collects over them which finds its outlet in the normally dry and grass-grown bed of the Colne below Water End. 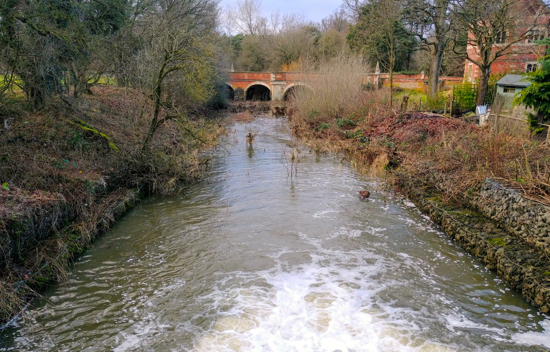 The effects were sometimes felt even as far downstream as Watford, where it had been noted in the eighteenth century that “the waters of the river are often so swelled by floods as to be impassable.” In November 1894, for example, when the swallow-holeso verflowed, at Welham Green the road was one foot deep in water, at Smallford two feet, and at Watford three. Both human beings and animals were quick to adapt their ways: a boat was seen drifting up Watford High Street, and sheep took to swimming in the flooded meadows. In February 1897 the waters again spread in succession across Waterend Lane, Church Avenue, roads at Colney Heath, Smallford and London Colney, Watford High Street (where on this occasion the council provided carts for pedestrians) and Rickmansworth. After these demonstrations of how full the river could be. round about the turn of the century there was an attempt to turn the channel above Colney Heath into a canal for pleasure craft; but it was doomed to failure, for the water only disappeared into further swallow-holes. As it happened, though Watford High Street was awash again in 1903, it was not until 1936 that floods as bad as those at the end of the century were seen again at Water End. This time it was, unexpectedly, in summer. After a thunderstorm on the afternoon of June 21 in which four inches of rain had fallen the lake at Water End spread across the Barnet by-pass for a width of 150 yards and for over an hour all traffic was held up. 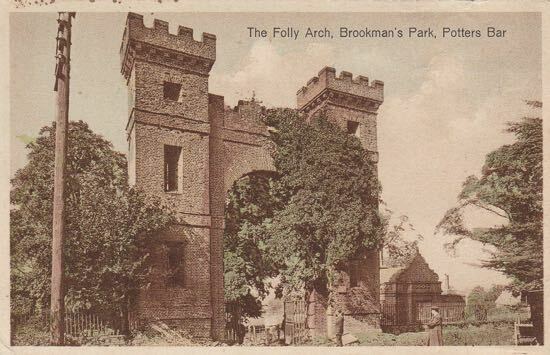 Such was the force of the waters that a man who tried to cross a plank bridge by the pumping station was swept away and drowned, while downstream the Colne flooded the fields of North Mymms Park. 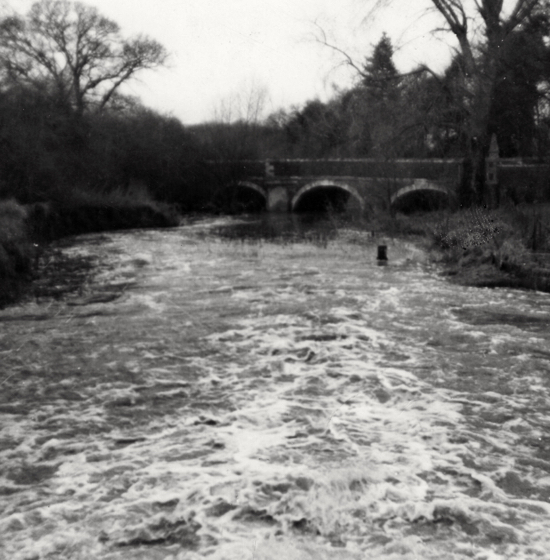 In April 1942 further floods were recorded, and the war land drainage campaign aggravated the problem when it increased the flow of the Mimmshall Brook. But after the swallow-holes had overflowed badly again in 1960 steps were taken to try to prevent future flooding. The Colne, in consequence, overflows less often nowadays; but one can get an impression of what it could be like when over Colney Heath there collects a heavy white mist that looks for all the world like the river in flood. Was it the reputation of the Colne for suddenly flooding its banks in this way that led Michael Dray ton to write in the seventeenth century that she “feels her amorous Bosom swolne”—or was this a poetical fancy inspired simply by the difficulty of finding any other rhyme for Colne? Perhaps, anyway, his calling it the “crystall Colne” and the “most transparent Colne” was a piece of true observation, for John Evelyn in the same century noticed that it was “ a very swift and clear stream,” as indeed it still is. It has, in fact, been claimed that no other river flows so fast into the Thames, and this has been suggested as the reason why it was at one time called the River Quick—a name that looks, however, suspiciously like a corruption of Quethelake, as one branch of the river below Uxbridge was once called. That it has also from of old been known as the Colne is evident from the number of places that have been named after it all the way down to its entry into the Thames— Colney Heath, London Colney, Broad Colney, Colney House, Colney Park, Colney Chapel, Colney Street, Colney Butts, Colhey Farm and Colnbrook. The Hertfordshire historian Salmon thought, incidentally, that the reverse had happened—that the Colne was named after Colney Street, the place where the Roman Watling Street led ad Coloniam, that is to Verulamium, but this theory has not been accepted by the experts. The meaning of Colne — a common river-name — is not known, but it is believed to be pre-Celtic and older than the name of its main tributary, the Ver. It is significant that it was not the name of the Ver but of the Colne that was given to the river below the point where they meet, even though the Ver is here if anything the larger of the two streams. When Chauncy wrote, however, that it was “much the greater stream” either the Ver must have been unusually full or the Colne unusually low. It puzzled him that, in spite of being the smaller, “the Colne usurps the glory of her own name,” but the explanation that has been suggested for this is that the Colne was the larger river before it lost the waters of the streams that disappear at Water End down the swallow-holes. When these overflow this can easily be believed, for it then becomes once more a sizeable river, carrying away the waters of the stream that runs south-west through Welham Green and those of the Mimmshall Brook and its tributaries. Of these, one stream rises near Northaw, another—the Catherine Bourne— near Shenley, and another as far away as Barnet Gate. At the other extreme, it has been known in a dry year for there to be no water in the Colne almost as far downstream as Colney Street. Its source may thus vary, it has been estimated, by as much as fifteen miles. No wonder, then, that there has been such diversity of opinion as to where it rises. Normally North Mymms Park has perhaps the best claim, but a period of drought or a single thunderstorm may make it anybody’s guess where its source is to be found. 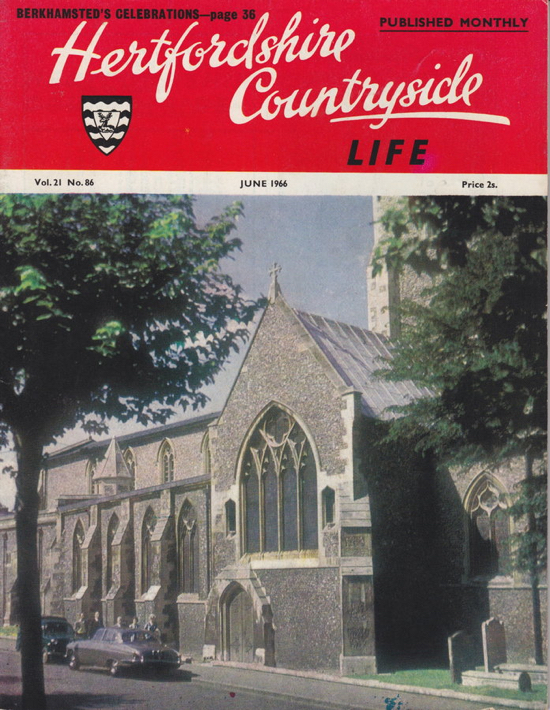 The original article, from which the text above was scanned, was written by M. Tomkins and published in the Hertfordshire Countryside magazine in June 1966, and is embedded below. The article is from the Peter Miller Collection and was scanned by Mike Allen. If you have anything to add to this feature, or just want to add your comments, please use the comment box below. For notifications of new content, add your email address below, click 'submit', then respond to the confirmation email. Please see our tips for searching for specific items. Was Little Miss Muffet a local girl? Bench marks, trig points or pillars? A large number of the photographs on the site are from the Images of North Mymms collection, which contains 4,000 images. These are on four CDs, which are available to buy. 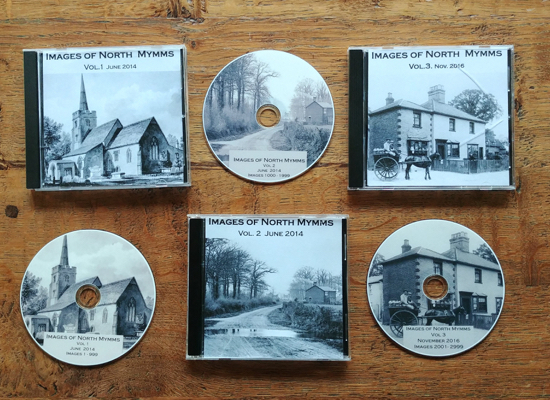 If you have any photographs, documents, memories or any other information related to the history of North Mymms, that you would be willing to share with this site, please use the contact form below to get in touch.